He has not rehearsed it, but Gustavo Poyet is hoping to find a team-talk to match Sunderland’s “special opportunity” at Wembley tomorrow. The Black Cats take on Manchester City as rank outsiders at Wembley, with many bookmakers offering 9/1 on a Wearside victory yesterday evening. Were they to pull it off, it would secure Sunderland’s first major trophy since 1973, and only their second since World War Two. That is history the Uruguayan will use to inspire his team before kick-off. “We can go back and say when was the last time we were at Wembley, or you can ask when is the next time we are going to be back there? Who knows? The idea is to play a final and for teams like us it doesn’t happen every year. “I have to make sure they feel it is a special opportunity so when they go out on to the pitch they are going to do everything possible to make sure we win. 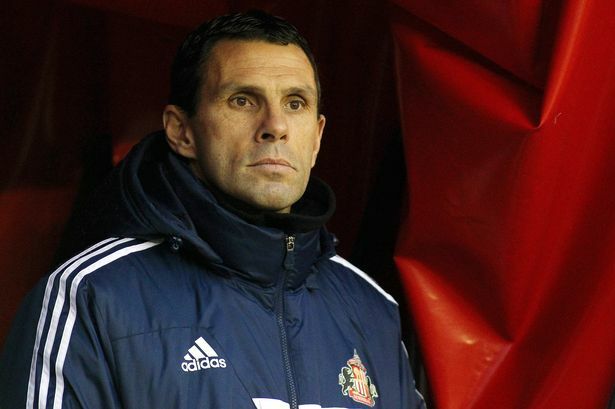 Poyet has no concerns that stressing the weight of history will put too much pressure on his players’ shoulders. “It can affect one or two but most are going to go in there and make sure they don’t lose this opportunity,” he said. “It doesn’t happen to everyone. “I see how much it means to everybody. I hope we can make people proud, that’s the main thing. In October Poyet inherited a side which looked doomed to relegation but tomorrow’s trip to Wembley could be the first of three this season. Beating Hull City a week tomorrow will secure an FA Cup semi-final under the arch, and victory in it will take them back again. 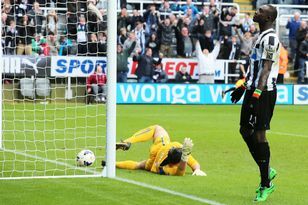 Winger Adam Johnson reflected that a tumultuous 12 months could end as one of the best years in the club’s history. “Now we’re definitely more stable, we’re going in the right direction,” said the former City winger. “It’s been difficult for everyone. No one wants to be in a relegation battle every year. “We’ve not been playing well at home, and getting beaten when we should have won games. They’ve been difficult times. “We were seven or eight points adrift a couple of months back so to be right in the mix with a couple of games in hand is great credit to us. “It’s definitely the best it’s been in my nearly two years. “In May this could turn out to be one of the best seasons in Sunderland’s history. At the beginning it could have been one of the worst. Meanwhile, the club have reduced the price of season tickets for next season. The cheapest full-price seats are £370, while under-16s can watch all next term’s home league matches for £69. The reduced prices are only available before 5pm, April 11.